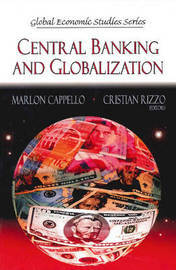 A central bank, reserve bank, or monetary authority is the entity responsible for the monetary policy of a country or of a group of member states. It is a bank that can lend money to other banks in times of need. Throughout the world, the everyday life of individuals is increasingly influenced by phenomena of social and economic change such as globalisation, computerisation, or the pluralisation of life-courses. Globalisation is often used to refer to economic globalisation: the integration of national economies into the international economy through trade, foreign direct investment, capital flows, migration, and the spread of technology. 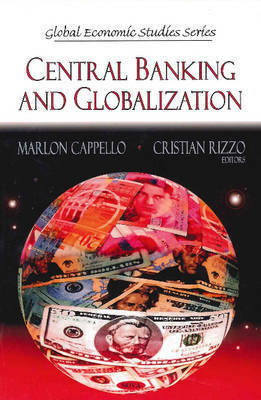 This book takes a look at the central banking industry and globalisation, highlighting topics such as the central bank's use of foreign exchange reserves to recapitalise banks, a new metrics measurement that is based on the concept of economic value, and that is embedded in the rational choice theory, the roles of central banking in the period of deflationary depression both empirically and theoretically, and an explanation of the argument that the effect on aggregate demand and output of a fiscal stimulus financed by public debt is markedly different from the effect of a stimulus financed by the Central Bank. This book also examines laws known as trade remedies that mitigate the adverse impact of various trade practices on domestic industries and workers.